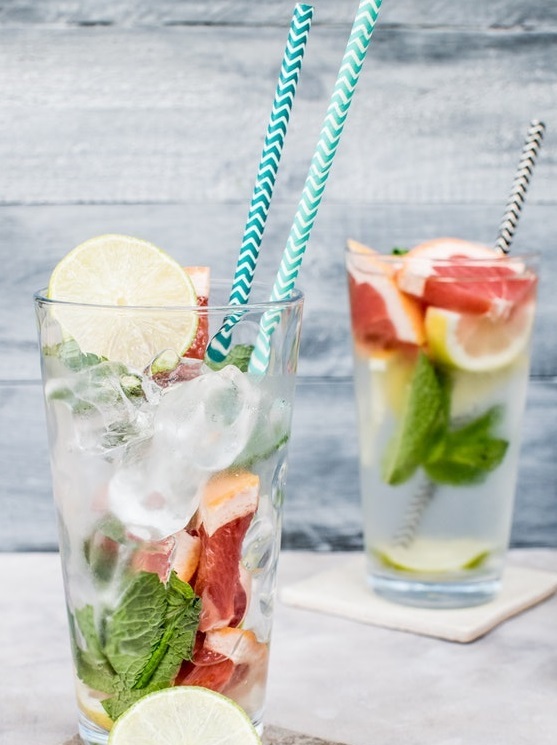 “Whilst I sip on my virgin Mojito packed with fresh mint and lime, I am ready to turn up the heat and embrace change. I am going to be healthier and wiser, stress less and socialise more, and make more of an effort with the important people in my life. I’ll be more engaged and increasingly efficient at work, but still make time to take on new and exciting hobbies, projects and adventure. I will finally make more time for me. Yes, it is time to shake the stress off from this year and welcome the new year with open arms”. In a sense, the celebrations and rituals of the New Years Resolutions give us an opportunity for self-initiated changes. Why bother? Do New Year’s Resolutions actually work? New Year’s Resolutions are often a great way to reflect and re-evaluate some of your life choices. It’s also a way to help you learn to decrease stress by mapping out where you want to make your biggest changes. New Year’s Resolutions have become a cultural and psychological ritual for many people. Interestingly, most of us tend to make the same resolutions each year. In fact, according to Psychologist and behavioral change expert, John Norcross and his colleagues (2002), over 40-50 percent of people annually make New Year’s Resolutions. I have personally found it has only been when I have been truly ready to change a behavior that a New Year’s Resolutions has come to fruition. There is a reason why people make and break resolutions in short order. The main reason appears to relates to a tendency called False Hope Syndrome (Polivy, J & Herman, P, 2002). We sometimes believe the change we set for ourselves is going to be easy and effortless. When we set high expectation that aren’t actually realistic, or have too short a time frame to achieve them, we may set ourselves up to fail before we begin. It’s often better to set several baby steps and give yourself enough time to get there, so that you’ll know you’re ‘winning’ in your New Year, New You self-improvement and change management strategies. FACT: The dieting industry thrives of False Hope Syndrome and makes big promises for people to lose weight fast. How to avoid False Hope Syndrome? Address any barriers to the resolution sticking: negative mindset, external conflicts, lack opportunity, excessive goals and/or not-linked to values). FEAR of failure is the most common barrier, and needs to faced first – as this fear will be the basis of whether you feel or believe you can change your behavior or thought patterns. Prepare for action: Focus on one resolution at a time; and set a realistic goal around something that you have spent time contemplating and have decided you are READY and WILLING to change or overcome. Keep reinforcing the belief : “Action leads to change”. Keep a diary log. Remind yourself every day of your progress and focus on what is working for you. A resolution deserves respect. You are changing a behavior and it takes commitment, time and energy, before it becomes a habit. I am currently working to achieve my optimal weight of 65 kilograms, which means I working on loosing 15 kilograms. I have already lost 7 kilograms and am no longer struggling with the effort to change my eating behavior. One thing that has helped me each week is to celebrate my success between milestones. I have enjoyed focusing on my new healthy relationship with food. Food continues to be a source of pleasure for me, but I no longer need to over-indulge, I am loving savoring my food and respecting my body. This means I have had to change my behavior at the supermarket, when I go out and how I actually eat my food in the moment, mindfully.